Founder and co-owner of Krypton VC – with a Dual degree in Economics & International Studies from Yale University. 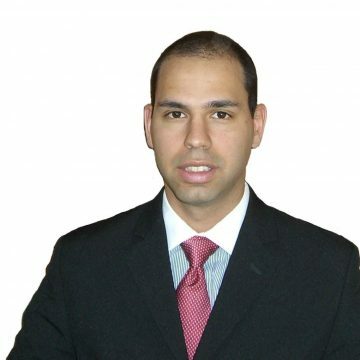 Mr. Sarfaty has accumulated years of experience in investment banking, trading, business valuation & strategy and equity funds. Prior to that he co-founded and managed a company in Belize which recognized the promise of river logging in the country and its “Green” potential. He oversaw the project in its pilot stage while forming business relationships with the highest echelon of Belizean officials and its business community. He guided the project until it made an exit. Before that he was an Investment Banker in Bank of America Merrill Lynch in NYC a part of investment grade capital markets division. As part of his job there, he conducted financial and market analysis for corporate clients with investment grade ratings, focusing on their debt structure and overall market performance. In addition he developed ideas and solutions for clients, using a broad array of capital market products and used peer comparison analysis to help clients raise capital and choose their preferred financing alternatives. He was a part of various transactions teams, including TLGP secured offerings, strategic capital raisings, debt restructures and recapitalizations He now uses his large skill set, experience and qualities to invest, mentor and transform small promising businesses into independent profitable ones. He also served as the first ever Israeli varsity captain at Yale University and earned 4 varsity letters as part of the Yale Squash Ivy League Champion (2006) team. Moshe is a former president at Eliezer Society (formerly the Chai Society) and active member since 2006.